The Gryphon is a dual-natured enigma, ferocious yet graceful, powerful yet subtle, and yet always new. 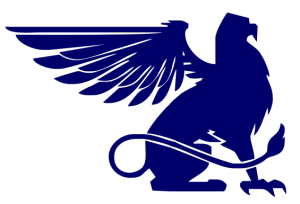 The inscrutable Gryphon has the wings and head of an eagle, and the body of a lion. We think the Gryphon is utterly fantastic. The Gryphon stands for many things [pertaining to] Veritas Academy champions – imagination, beauty, history, and more. You’ll find the Gryphon (also known as the “griffon” or “griffin”) throughout classical mythology and in medieval symbolism. Be on the lookout for the Veritas Gryphons! They are wonderful and surprising. The Gryphons are on the move.